Creative Touch Interiors Inc. is a full-service residential interior design and renovation firm. We are proud members of a local Canadian Home Builders Association (CHBA) and nationally with Canadian Council for Aboriginal Business (CCAB). Our core services provide clients with design solutions while working with a network of trusted professionals to complete your project. Our focus is on building relationships with our clients as well as with our suppliers and contractors. Following our core values of Honesty, Integrity and Communication we strive to develop strong working relationships with all our partners. With four Gold Tommie awards we are dedicated to excellence in all our projects. for whether a woman has to make the tough decision to have a mastectomy or not. “Surgeons working in communities far from Kelowna often have to do a full removal of the breast, a mastectomy, because their patient cannot travel to Kelowna for radiation treatment,” says Crook. “If they can offer to this patient to come to Kelowna for the procedure and be home the next day, they can make it happen and save their breast. That is important.” Crook reiterates that this treatment is a form of partial-breast radiation that has less toxicity and is done quickly. “I cannot imagine it would be easy for any woman to have a mastectomy. They live with it, and adjust to it, but it is a very difficult thing to go through,” adds Crook. “Given a choice, I’m sure the vast majority of women would prefer to keep their breast.” Since 2012, the permanent radioactive seed implants for breast cancer have been offered in Kelowna for selected women following lumpectomy. While Crook says most surgeons in B.C. are now aware of this option, she hopes breast cancer patients will talk to their surgeon to ensure this treatment option has been considered. “Discuss it with your surgeon before surgery,” urges Crook. “Tell them you would like to have this treatment if it is possible. Many surgeons know about it now and many have phoned me and asked what they need to do differently in their surgery to ensure their patient is suitable for this.” Crook has spent her career in cancer treatment, calling Kelowna home for the last nine years. Cheers To All The Hard Working Women In The Okanagan! says. Huber has always been on the move, so it’s not a huge stretch that she finds herself fulfilled by helping others get moving. Growing up in Joe Rich on Black Mountain, Huber has always been on the move. From exploring around her childhood home to spending time on the ski hill at Big White, Huber is a natural athlete. But as a fitness enthusiast, she’s not just aiming to help people get physically stronger; she’s helping build better communities through movement. Born and raised in Kelowna, Huber, now 28, attended school in Rutland. She was first introduced to basketball in middle school and dove right in. Her height and reach made her a natural on the court and she excelled with the Rutland Voodoos and straight into university ball at UBC Okanagan, where she played for five years. We offer a great variety of unique eye wear for men, women and children and will accommodate after hours visits. We look forward to meeting you at our location in Willow Park Shopping Centre in Rutland. CHARTERED PROFESSIONAL ACCOUNTANTS Banka & Company is committed to helping clients Plan, Manage and Succeed. Our staff are knowledgeable professionals in their various areas of expertise, including Corporate Notice to Reader Engagements, Corporate Assurance Engagements, Corporate Taxes, Personal Taxes, and Small Business Taxes. Linda Szerepi I started creating Dare to Dream 22 years ago. The idea was to do something that I love while helping people improve their life by supplying products and services that are especially for them. We carry something for everyone, including jewellery, crystals, new age self-help books, incense oils, Feng Shui and Colour Energy products, tarot/oracle cards, salt lamps, singing bowls and unique gifts. Services offered are: Reiki Healing, Reflexology, Massage, Life Coaching, Counselling and Psychic / Channelled Readings. Classes are available in Reiki and Personal / Spiritual Development programs. I have enjoyed meeting and getting to know those of you who have come into the store over the years. I would like to take this opportunity to thank all my customers for supporting me and allowing me to help you and introduce you to the world of Dare to Dream. I welcome others to come and experience all that we have to offer. Come in to relax, learn, grow spiritually and heal physically, emotionally and mentally. redfoxclub.ca Indigenous Food & World Class Wines Chef Andrea Callan breathes inspiration from foraging in the forest and sourcing small local farmers. Utilizing nature and respect for the Aboriginal history creates the delicious ever changing menu. Bernice Louie, a proud woman in business, is the President and co-owner of the first fully Indigenous privately owned winery in BC. One of her desires was to celebrate the women in her family by introducing a sparkling wine program using two special Charmat method tanks. Visiting Indigenous World Winery introduces you to great Okanagan wines as well as the rich culture of the Okanagan Syilx people. www.indigenousworldwinery.com The first sparkling wine release was named after her youngest daughter, the second after her eldest and finally Bernice will have the third sparkling wine named after her. Okanagan Natural Care Live a Healthy Life! Florenda Pickett and Angela O’Brien are the owners of Esteem Lingerie. with this company, she’s always doing something new, she said. They started with a single bra, and one customer. Now, Pickett said their biggest accomplishment is their reputation for bra fitting. O’Brien said there’s a lot of pressure on women to perform in the career world, and look after families, so she wants to give women that confidence in themselves. Women need a good pair of shoes, a quality bed and a quality bra, she said. Working with Look Good Feel Better, the pair offer fittings and bras for women after they’ve undrgone a mastectomy. The pair are certified professional bra fitters, and their staff are, too. reasons, and being a part of shaping this amazing community has become a mission that is close to my heart.” Commercial real estate came with responsibility and a pressure to perform, she said. “Sometimes that pressure gets to me, however I do my best to use is as my fuel.” Her biggest accomplishment would be seeing the Innovation Centre to 100 per cent leased. “That project has changed not only the tech industry, but downtown Kelowna – having a small hand in that success is, and always will be a career highlight,” O’Mara said. Direct Cellars Wine Club Wine Club with Over 2000 international Boutique wineries. Delivered and Enjoyed in the Comfort of your home. We support and assist women in business, specifically CONNECT members by actively referring clients to sister members, and by encouraging and empowering each other and potential members. Nicole Begrand-Fast has grown her boutique-stle design firm from a small studio into the thriving company it is today. With over 20 years of experience and a never-ending interest in exploring new directions in design, Nicole brings passion and a keen eye to all her projects. Her love of culture, architecture, and art from around the world lends itself to her ability to create unique and innovative spaces. Her experience and understanding of the construction world make her firm a go-to for many developers, general contractors and custom builders who look for professionalism and experience. 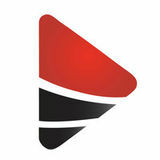 The professional team at Begrand Fast Design Inc focuses on connecting with clients to understand their needs and help bring their vision to reality. With her deep understanding of the principles of design and her attention to every detail, Nicole designs inviting, sophisticated spaces. Never contrived or stuffy, she combines her creativity and vision to form unique, functional & beautiful environments. Nicole supports the Okanagan community through her involvement in programs such as the Centre for Arts and Technology, the Children's Advocacy Centre Kelowna, Opera Kelowna and the Okanagan Sustainability Leadership Council. years. “We have such a great and unique community in Kelowna. It’s exhilarating to be a part of other peoples’ journey, and cheering a fellow runner as they cross the finish line,” Lovig said. “I’m supporting our communities in my work, and that’s important to me.” Being in the best shape of her life, and both working in her desired field and running as much as she possibly can puts a smile on her face as she not only represents Canada in her work and at her marathons, but also Kelowna. She’s long been happy with the life she has. “It’s not always going to be this way for me, but I’m going somewhere and I’m excited about that,” Lovig said. “I can put up with the imbalance.” Lovig calls it “imbalance” — but she accepts every challenge that comes across her path. Whether it’s in business or in fitness, Lovig has come to recognize and accept those loving words of her father, as she’s embraced facing everything like it’s a marathon. handcrafted footwear that are not only stunning to look at, but offer incredible comfort features. We pride ourselves on making our customers feel welcomed and appreciated, and hope that each Strut experience is truly enjoyable and lots of fun. Come by and say hi, we’d love to introduce you to your new favourite pair of shoes! Laura has been involved with Kwikfit4u Canada for 12 years and owner for the last 6 years. She is a Certified Natural Health Consultant, and WBV Trainer in West Kelowna. Kwikfit4u Canada is a whole body vibration (WVB) equipment supplier in Canada and U.S. Whole Body Vibration has been the hottest workout trend on the market as per ‘Muscle Magazine’. Laura started using WBV for her own health and fitness issues 9 years ago, and has been so grateful that WBV came into her life - “I can’t be without it!” She works with people who want to lose weight, the physically fit, people with little or no Starting mobility, and the wheelchair bound. at $997 Studies have shown good results for suffers of MS, M.D, F.M. Parkinsons, arthritis, diabetes, high blood pressure, pain control, Lupus, circulation problems and the list goes on… Supplying both Canada and the US, Kwikfit4u will be at the Women’s Fair at the Parkinson Recreation Centre on March 17th from 10am to 4pm; visit our website for more information. Kwikfit4u Canada is the supplier for YMCA, Dancing with the Stars, PGA, senior residences, medi spas, health, wellness, fitness centres, tanning salons, weight loss clinics, health practioners, and homeowners. Try It! 20 years, and I see so often that a very simple treatment like teeth cleaning can actually bring you back to health. It changes their quality of life, I feel so fortunate to be able to live in Canada and raising my children in Kelowna, it’s those little acts of kindness that goes both ways,” she said. Bernath immigrated from Poland to Canada when she was 19. After being a dental hygienist for 20 years, she decided to open her own business two years ago. “I recognize the enormous need for services like that because unfortunately, dental care is becoming more and more of a luxury for people, especially with people with no insurance.” Since opening, her next step is to hire another practitioner. “I try to run my business and (take) clients from all walks of life.” She’s hoping to connect with other dental clinics to encourage them to get on board with The Gift From the Heart. When she started two years ago, she gradually grew her clientele from a handful of clients. Book your FREE* hearing test today. Exclusive discounts available to BCAA Members. 1.888.850.9979 connecthearing.ca VAC, WCB & NHIB accepted. *Free hearing tests only applicable for clients over 50 years of age and no fees or purchase are necessary. ®CAA, CAA logo and CAA Rewards trademarks owned by, and use is authorized by, the Canadian Automobile Association. Sharon Black Serving all Real Estate Needs, through Knowledge, Experience, Transparency and Integrity. YOUR VALUE MATTERS! What people say about their experience working with Sharon: Sharon just helped my husband and I buy our first home and we could not be more satisfied with the experience! She was so knowledgeable and kind throughout the whole process and made buying our first home so easy! Best realtor in the Okanagan! We do more than lift your spirits! a ton of blended families and the financial picture becomes quite complex and to help clients you have to be quite diverse. My speciality is the wealth and tax planning…I touch on all quadrants of financial planning,” she said. Pomme Salon builds brand by educating its customers Five years ago, Nicole Pidherny traded in her hair clippers for a set of business keys. The owner of Pomme Salon, a unique hairdressing salon located on Ellis Street, said she wanted to try something different in Kelowna when she opened her business. “I worked at a salon for seven years… but I always wanted to own my business,” she said. “I wasn’t one of those people who dreamed of being a hairstylist.” Pidherny knew she hairdressing was only a start, and she quickly realized she could use her experience to her advantage. While working as a hairdresser, she attended business classes and worked with others in the industry to find the magic touch in developing a profitable business. “I saw a market in Kelowna that we were missing. I loved working for a salon, but it got to the point where I had all the knowledge I needed,” she said. “There was nothing in Kelowna at that time that was doing what I wanted to be doing.” At Pomme Salon, they focus on educating the clients, so they can create their own styles at home. Each stylist also has their own speciality, she said. “We create the experience so we can educate the client while they’re in the salon.” When she first opened in 2015, she was seeing a shift in the industry, from large salons to smaller boutiques. Despite advice from other stylists telling her it wouldn’t work, she had a vision. “I opened in May of 2015 and we’ve been very successful and what we’ve done and made our name for ourselves in Canada,” she said. Pidherny also created a brand for the salon, calling her clients “Pommeshells.” “I was just lucky to work with very incredible people in the industry,” she said, adding she absorbed everything from the experts she worked with. “I saw clients were doing it and I saw they were doing it in larger cities.” She made it her mission to have people coming to Kelowna to do their hair. These days, everyone knows it’s smart to use a mortgage broker… but not all mortgage brokers are created equal! If you need someone who can actually answer your questions, and explain things in an easy to understand way, call me. I’ve been in the business for 25 years. Mortgages are what I know. I don’t care about ‘lender incentives’ and ‘volume bonuses’… I care about what’s best – and right – for you. That’s why I became a mortgage broker in the first place. 1-877-221-3893 julia@infinitylending.ca Curious about reverse mortgages? Call me! Don’t need a mortgage, but interested in investment opportunities in mortgages? Call me! and an owner, she said. “Make sure you actually take business and leadership courses and make sure you have systems in place to be repeatable and profitable, and create a team that fits your brand.” “You have to have passion and be self motivated… and look for inspiration everywhere, hairdressing is definitely a lifestyle and not a career,” she said. Live Your Best Self Acupuncture can help! Get lasting relief from: • Shoulder, back & neck pain • Headaches • Insomnia • Menopause • Anxiety • and more! As your personal mortgage broker, I care about getting you the right mortgage product that suits your specific needs. Your mortgage is possibly the largest financial decision you will make in your lifetime, so professional mortgage advice is key to discovering all the financial options available to you. Having been in the financial industry for over 14 years, I have the skills and knowledgebase needed to help you navigate the mortgage process with confidence and ease. Whether you are purchasing, refinancing, or your mortgage is up for renewal, I work on your behalf to find the best deal for you. I Make Living Affordable! Let me help make living affordable for you today. Knowledge is power, and WFG is determined to provide people throughout North America with a financial education that empowers them to have a better future. Contact Denise to attend a Business Presentation Meeting to learn about WFG’s mission to build and protect wealth for families. Marion has enjoyed a successful career in real estate, finance and marketing for many years, specializing in single family homes, re-location and community lifestyles. Women Who Lead A’Lana Rains, Angela Bailey, and Lynn Wong are Partners who mentor and inspire. They are committed to the betterment of our corporate culture and community. Their diverse range of experience and dedication to the CPA profession has made them true leaders in the accounting industry. Enthusiastic and driven, with a steadfast focus on client care, we introduce you to the women who lead Crowe MacKay LLP. In 2017 Marion was recognized in the top 10 in Canada for total units and for the fourth consecutive year, received two prestigious awards: Ultimate Service Representative (#1 in Canada 2016) and International President’s Premier Designation. Marion is now partnering with Nicole Joakimides, providing expert service to Kelowna and surrounding area. In 2017 Nicole was awarded both Ultimate Service Representative and International Diamond Society. Visit www.4seasonhomes.com/My Listings, contact Marion or Nicole for an appointment to view! woman who is haunted by the spirit of a young girl. Ten years ago, Ord went through a divorce. After meeting her significant other, Glen Samuel, they fell in love with each other and with Lake Country, where she ended up moving to. The pair worked on Tora together. While she’s not ready to announce what she’s working on next, she said hopefully CBC will be pleased with the success of To The Worlds. ”I’m hoping that will grant me future documentary possibilities,” she Ord. In the meantime, she wants to continue creating inspirational documentaries about people. “I just feel super lucky to be able to do what I do,” she said. "By supporting the local economy, creating jobs, and mentoring young entrepreneurs, our women in businesss are building a better community." Helping Women Entrepreneurs Grow Stronger Together Brought to you by Half of all new businesses in Canada are started by women. For International Women’s Day, Angela Nagy, owner of GreenStep and a BDC client, reflects on the benefits of making connections with other women entrepreneurs. Maxine DeHart Maxine DeHart is a Kelowna City Councillor. She was originally elected in 2011, re-elected in 2014 and recently re-elected for a third term in 2018. As a result of this, she has been appointed as a Director on the Central Okanagan Regional District Board and is the City appointee on the Board of the Kelowna Chamber of Commerce. She is also an alternate appointee on the Downtown Kelowna Association. Maxine is the Director of Sales at the Ramada Hotel and Conference Centre where she has held that position for over 30 years. She is also celebrating her 21st year with the Kelowna Capital News in March/2019, writing the popular Business Column “Straight from DeHart”. Recently, Maxine has received the honour of an appointment as Honorary Lieutenant-Colonel of The British Columbia Dragoons. This is a community service position. She has received many awards over the years including the United Way Award of Distinction; Toastmasters International Communications and Leadership Award; YM/YWCA Woman of Distinction Award for Community Leadership and Enhancement; Commemorative Medal Golden Jubilee of Her Majesty Queen Elizabeth II; Community Citizen of the Year; Kelowna Chamber of Commerce President’s Award and the Mayor’s Spirit of Kelowna Award. Maxine is the founder of the hugely successful Maxine DeHart – United Way, Ramada Hotel Drive-Thru Breakfast that celebrated 20 years in October/2018. This event has raised hundreds of thousands of dollars for the United Way. A calming experience in getting your teeth cleaned! their seasonal offerings.” • For a human resources consultant: “There is a substantial need in Kelowna for an executive search firm that specializes in the financial services industry.” Knowing what you intend your business to be and whose need it will meet helps you to not only set a foundation but a clear business path. You really can’t be all things to all people so you need to identify what’s important to both you and your potential customers. Then, you can build your business concept around those things. It’s never too early to start getting clear about what you do and why you do it because, down the road, your ability to articulate your concept will allow potential customers to understand exactly what you have to offer and how you are able to serve them. 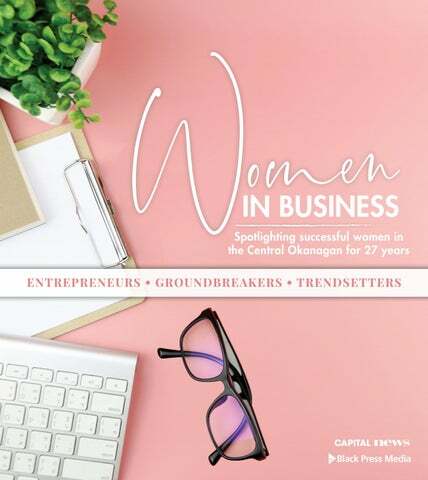 Women’s Enterprise Centre is a non-profit organization devoted to helping BC women launch, lead and scale their own businesses. Our full range of services includes business loans up to $150K, business advice, skills training, mentoring, resources and a supportive community to help women entrepreneurs realize their business potential. Get connected today at womensenterprise.ca. Find us at our new location, 2780 Richter St. in summer 2019! THE GREAT LIFE ...begins here. THE NEW W180MD HAS ARRIVED. VALMONT SKINCARE W180MD is an exclusive purveyor of Valmont’s luxury Swiss anti-aging skincare products in the Okanagan Valley. W180MD is so proud to welcome patients to our new, expanded location. We’ve worked so hard to ensure that our comprehensive approach to health and beauty is reflected in our carefully chosen roster of services. From hormone replacement therapy to manage menopausal symptoms and body contouring treatments like EMSculpt®, to anti-aging and rejuvenation services including IV therapy, JetPeel, Vampire Facial®, Valmont skincare and facials and more, each service has been selected to provide the best possible aesthetic outcomes to our patients. We look forward to providing individualized, discrete, and professional care to women in our new, luxurious space. EMSCULPT® The world’s first and only procedure to simultaneously build muscle and burn fat for next-level body contouring results. A single treatment session is equivalent to 20,000 sit ups or squats!